Cocktail rings are usually large in size and consist of one oversized gemstone complimented with smaller stones or a number of smaller stones with designs like flowers or animals. 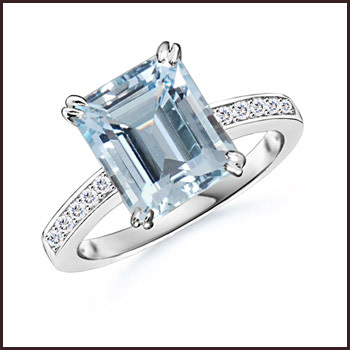 If you are planning to buy a ring for your birthday in March, you can opt for an aquamarine cocktail ring. This gemstone has become extremely popular these days, especially for engagement rings. 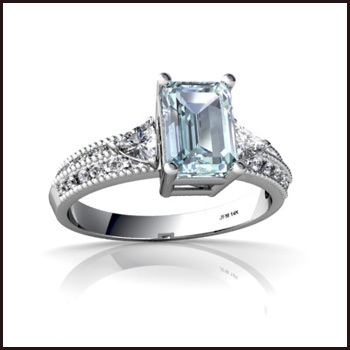 Although diamonds are the preferred choice for most women, the aquamarine rings are beautiful and much more affordable. 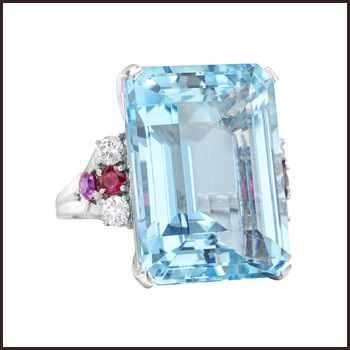 Aquamarine rings have blue colors which range from light blue to deep blue. Regardless of the shade that you choose, you will get a gorgeous piece of jewelry. The beautiful blue gemstone can look great on anyone and will complement any outfit. 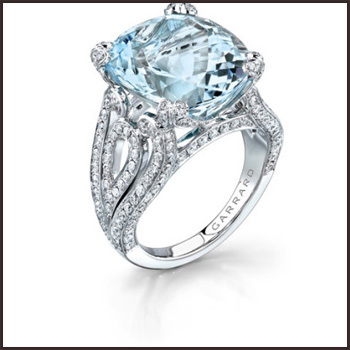 When shopping for your aquamarine cocktail ring, you will find many styles to choose from. These rings are available in white or yellow gold setting, which is usually more expensive. Most of the antique cocktail rings are made with elaborate metals and large stones in the center. Apart from the aquamarine stone, some of the antique rings feature other popular gemstones like opals, emeralds, rubies, diamonds, sapphires, and pearls. You should know that cocktail rings with semi-precious stones like aquamarine are normally more affordable. These are not only affordable but will look just as beautiful as the expensive precious metals. 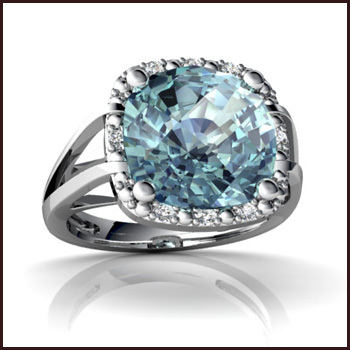 The aquamarine rings in gold plated or sterling silver is also less expensive than the platinum and solid gold rings. Choosing an aquamarine cocktail ring will add sparkle and color to your attire, whilst giving you an opportunity to accessorize based on your mood or personality. The animal or flower designs are the most popular options, but these rings are available in any design that can imagine. Although the pure blue aquamarine jewelry will sell best nowadays, the vintage pieces will contain a range of greenish to blue-green gems. There is no doubt that you will find many flashy aquamarine cocktail rings with mid-century designs since the aqua hue was more appealing in the 50s. In the past, these rings were only worn to cocktail parties but today they are making a lasting impression in the fashion industry as one of the accessories that can go well with any outfit. Wearing a cocktail ring can add some glamor to your look, whether you are going shopping or for a night out with your friends. Whether you decide to buy an aquamarine cocktail ring for your birthday or to give someone as a gift, you should look no further than Jewelsforme.com Company. This is a specialty store for many gemstones including a wide collection of aquamarine jewelry. When you buy one of the cocktail rings at this store, you can benefit from additional services which include tips on how to care for aquamarine jewelry, warranty, free shipping and money back guarantee.